The Hagerstown Wastewater Treatment Plant in Maryland incorporated several plant modifications, one of which was the conversion of their disinfection process from the use of ozone to UV. With the change in the disinfection process, the regulatory agency was concerned about the environmental impact of the lower levels of DO being discharged. A new method was required to achieve the required effluent DO level. 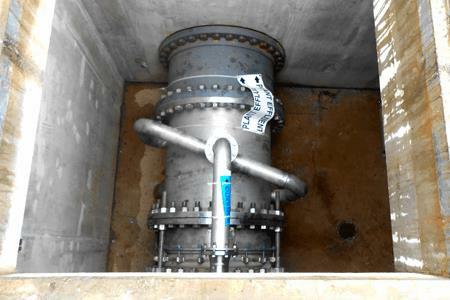 Read the full case study to learn how since the startup of the Mazzei injection system, the system has successfully increased the effluent DO levels — exceeding the discharge requirements under all conditions — with minimum maintenance and low operator involvement required.